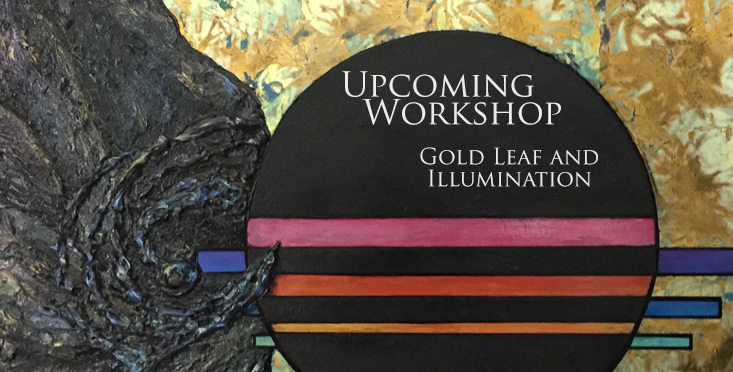 Students will learn how to lay out and prepare their materials to implement gold, copper, or silver leaf in the most effective way possible. Tutorials will include how to incorporate leaf with under-paintings and over-paintings, how to work highlights and shadows into their paintings, the distinction between warm and cool light, and how to seal leaf properly. Other topics include metallic pigments and metal paints. All levels are welcome! Please bring all of your painting supplies (oils or acrylics, brushes, solvents, mediums if you use them, and cleaning supplies) including 3 different photos to work with and two small canvases, no bigger than 11”x14”. Class fee is $65/$60 for VAC members plus a $15 supply fee. The supply fee will be waived for those who bring their own gold leaf sizing and sealant. Struck by a municipal train in 2005, Adare spent the following years in physical rehabilitation and retaught herself how to paint, returning to the art scene in 2009. 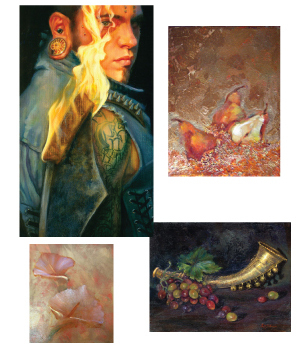 Adare’s portrait series Restraint & Revolution was featured as part of a 3-woman concurrent solo show at the Maui Arts and Cultural Center, and went on tour throughout the states with 21 evocative oil paintings. Any chance this could be offered again? We’ll update our website as soon as a future date is scheduled. Great class, highly recommend to anyone. I loved it and learned more then I expected. Wonderful teacher and artist. Thank you for participating in this workshop! We’re so happy to hear that you enjoyed it.